Provide comfort for the family of Jesse Spaulding with a meaningful gesture of sympathy. 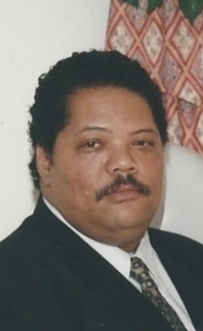 Obituary for Jesse Ricardo Spaulding Sr.
To send flowers to the family of Jesse Ricardo Spaulding Sr., please visit our Heartfelt Sympathies Store. We encourage you to share any memorable photos or stories about Jesse. All tributes placed on and purchased through this memorial website will remain on in perpetuity for generations. Provide comfort for the family of Jesse Ricardo Spaulding Sr. by sending flowers. "Our Father in the heavens, let your name be sanctified. Let your Kingdom come. Let your will take place, as in heaven, also on earth." The Bible promises that when God's Kingdom rules the earth, people will no longer feel pain, grow old, or die. (Revelation 21:4) Everyone on earth will love God and neighbor and peace and happiness will fill the earth. (Psalm 37:11) Our condolences for your loss!